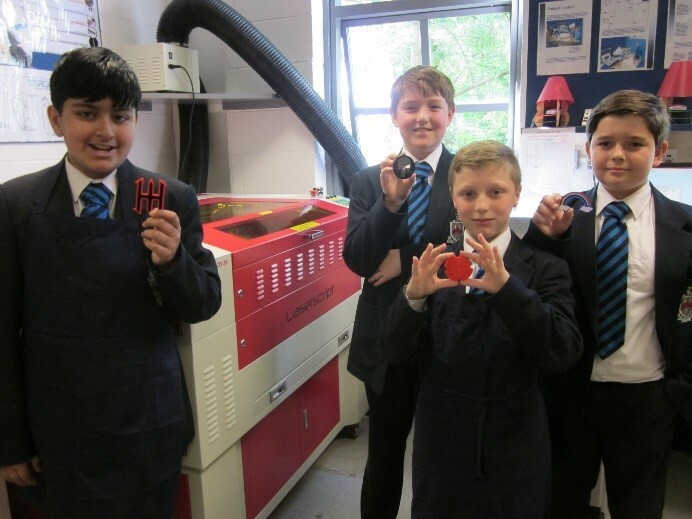 Two weeks ago the D&T Department took delivery of a brand new laser cutter. This was generously funded by the PA and the department has quickly set about putting it to good use. 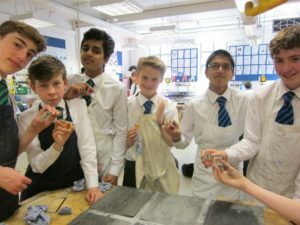 Year 7 Product Design students have been able to develop their project ideas way beyond anything that they could have achieved in the past. 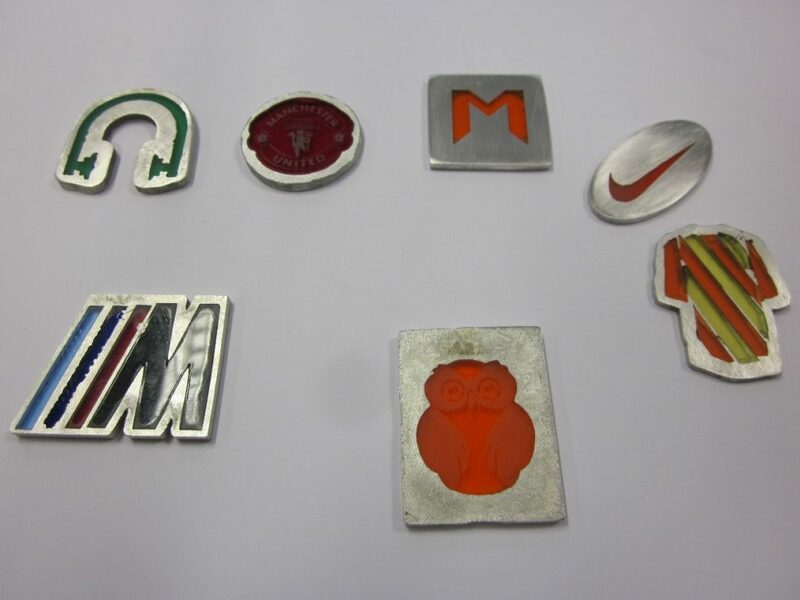 Year 9 Product Design students have been able to develop far more intricately designed products and have explored the possibilities of etching acrylic with designs before casting into their pewter key rings. This has meant that the final products look far more realistic and commercially viable. 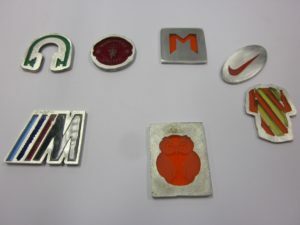 It has enabled students to get a direct understanding of industrial manufacturing techniques. 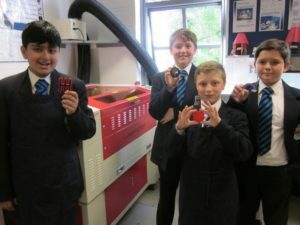 They can now envisage their product on sale in a merchandise shop, or gift shop. The practical work being completed by Key Stage 3 students now matches their design capabilities.